A park where I take a timeout with a warm croissant/jambon sandwich from the bakery nearby. Nestled in the Marais, you might spot Tai Chi or small yoga classes on delegated green spaces, or someone asleep occupying an entire bench. The scene is everchanging. The site of the commandry of the knights of the Order of the Temple in the 13th century, the square became the scene of bloody repressions when the Templars were considered heretics. It’s a much more peaceful place today. An English garden embellished with numerous exotic trees: American honey locust, goldenrain tree, Ginkgo Biloba, Turkish hazel, and a tall Japanese pagoda specimen embellish the landscape. This is an EcoJardin. It has been awarded the official French stamp of approval which recognizes ecological management guiding gardeners and managers of green spaces towards good practices (only certain sprays can be used, etc). The wildlife in this large garden has never been so vibrant. Many different species of birds come to refresh themselves near the ornamental pool and waterfall constructed of rocks from the forest of Fontainebleau. 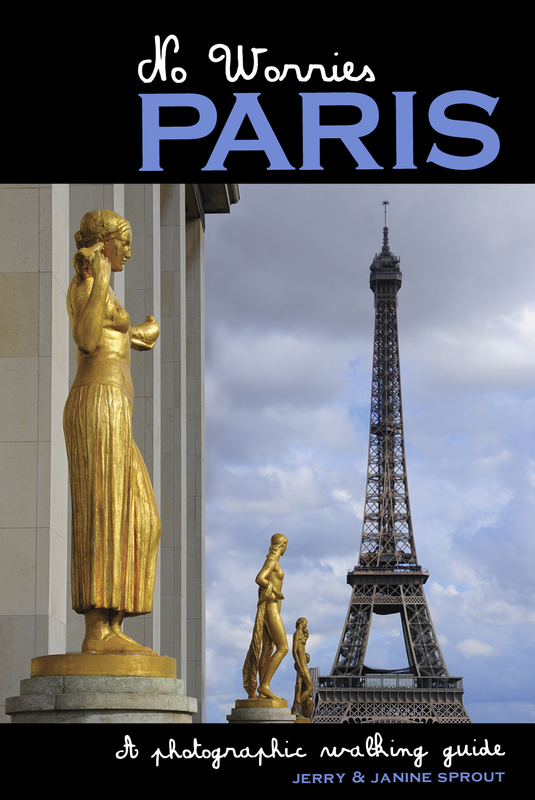 Complete directions to get here are in the No Worries Paris guidebook.